Yesterday, Sam Lubell detailed The Broad Foundation's much-anticipated LA museum complete with all the renderings. Now, we have a video fly-through of the new Diller Scofidio + Renfro-designed space and isn't it something! You can really start to appreciate the porous nature of The Broad's structural concrete "veil" and the views inside and out it will offer. You also gain a sense of its street presence sitting alongside Frank Gehry's Disney Hall, which appears rather large in comparison. What do you think? Finally. The design for Eli Broad's new contemporary art museum in Downtown LA, designed by Diller Scofidio + Renfro, is being unveiled on Thursday, according to a press release sent out today. The event will take place at 11:00 am at Walt Disney Concert Hall (next to the new museum site), giving us lazy journalists plenty of time to make it. 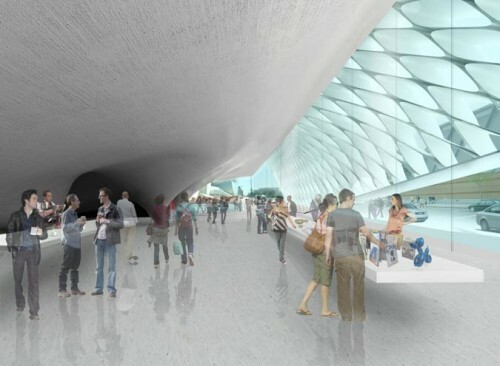 According to the release, the museum will be "home to the worldwide headquarters of The Broad Art Foundation," and will provide a home for Broad's collection of more than 2,000 works by 200 artists. Since the museum saga has dragged out over several years between several cities, and because he's hired one of the country's top architects, Mr. Broad has done an excellent job of building our expectations. Hope it's good! According to both the New York Times and the LA Times, Eli Broad appears to have settled once and for all on a Downtown LA site for his new museum, and has gone so far as to hold a new competition for its architect. Further background has it that Thom Mayne, who had been favored to design Broad’s museum, is now out, and the new finalists are Rem Koolhaas, Diller Scofidio + Renfro, Herzog & De Meuron, Christian de Portzamparc, Foreign Office Architects, and recent Pritzker Prize winners SANAA. 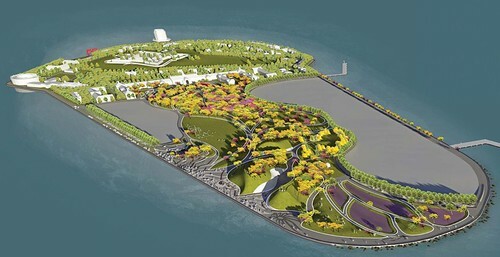 According to the New York Times, the jury appeared to favor Diller Scofidio + Renfro and Koolhaas. A choice, according to their story, could be made within the week. 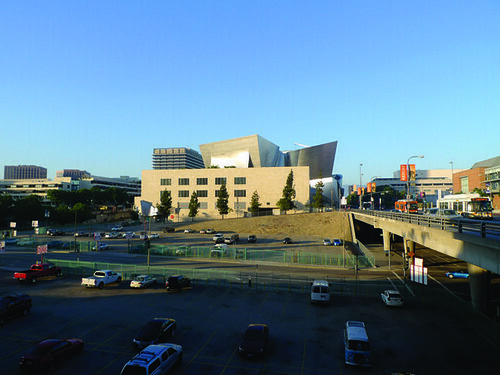 If built, the museum would be located on Grand Avenue just east of Frank Gehry’s Walt Disney Concert Hall and across the street from the LA Museum of Contemporary Art where he has played key roles recently in both keeping the museum on keel with a $30 million gift and steering it towards new director, Jeffrey Deitch. 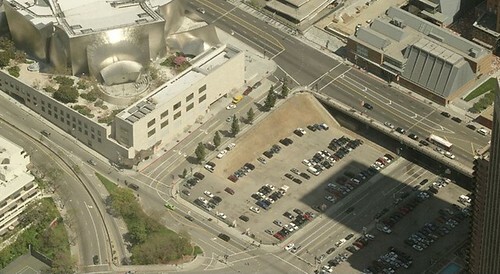 AN reported back on March 16 that Broad was leaning toward downtown for his museum. The site is currently slated for retail development within phase two of the now-stalled 3.5 million-square-foot Grand Avenue Project. Or so she just told WNYC. The clip was aired during Morning Edition, but as Soterios Johnson (LOVE HIM!) directed us to the web for a complete recap and more, the interview actually appears to be from yesterday's episode of Soundcheck. Thanks to the magic of the Internet, you can find the full clip above, as well as a video tour after the jump. And as Johnson gamely noted, be sure to tune in Sunday for the building's debut performance, which will air live. Think those improved acoustics carry over to radio. 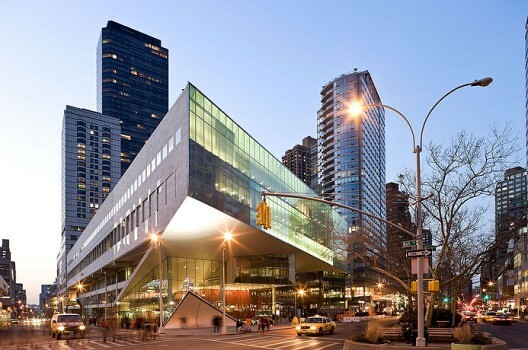 Alice Tully Hall is in exactly the same place as it always was; the renovation was unable to change the “footprint” of the hall within the larger building, or to move walls or even seats. These restrictions make the changes that have been made all the more impressive. The vaguely modernist look of the hall has changed to an organic warmth. [...] It used to be that walking into Alice Tully Hall was like boarding a submarine - there was no natural light to speak of, and the lobby had all the charm of a Knights of Columbus hall. Now, everything is glass; you can see across 65th Street, or out to Broadway. It’s a phenomenon familiar to any NYC apartment dweller: you don’t realize how important natural light is to an apartment until you finally get a place that actually has it. Then you wonder how you ever lived in the half-lit dingy old place of yours for so long. Obviously, Mr. Schaefer is a Manhattanite. We've got plenty of sky here in Brooklyn. Lincoln Centers, not so much, though. We'll call it a draw.